Nepal is well-known as a first-class destination for trekking and mountaineering, but travellers with other interests will have plenty of fun. From some of the world’s best white-water rafting rivers to the world’s second-longest zip-line, here are seven adventure activities that you should consider trying while travelling in Nepal. 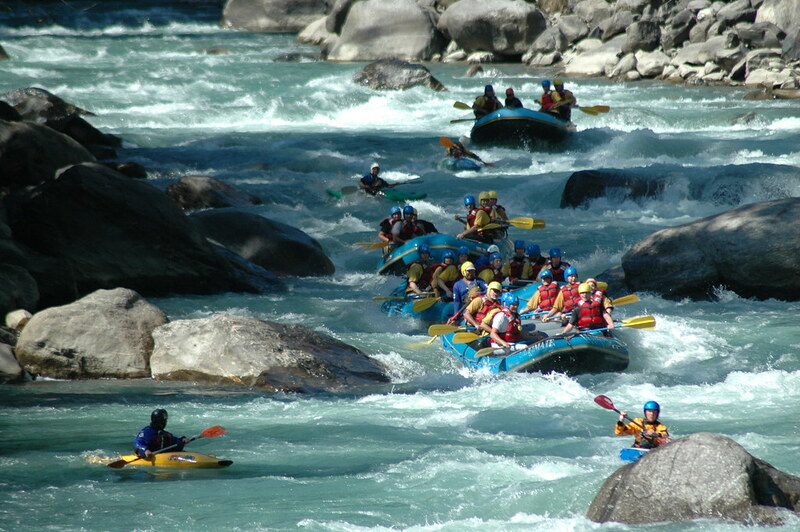 Nepal has some of the best multi-day white-water rafting and kayaking rivers in the world. The Sun Kosi, Karnali, and Tamur Rivers frequently make it onto international ‘top 10’ lists, and it’s clear why. The white-sand beaches, good climate for camping, rapids ranging from easy to extreme, and fantastic mountain, hill, and jungle landscape along the way make multi-day rafting and/or kayaking trips in Nepal a real delight. If a 10-day trip isn’t your thing, there are single-day trips available close to Kathmandu and Pokhara (such as the Bhote Kosi, Trisuli, and Seti Rivers) and shorter overnight trips too (such as the Kali Gandaki). Many rivers are suitable for novices and older children, and some can be paddled by both rafters and kayakers, making white-water activities in Nepal good for groups with varying abilities. There are plans afoot to dam more of Nepal’s rivers, however—such as the Karnali—so if you’re interested in white-water activities in Nepal, it’d be wise to act on that fast. If bungy jumping wasn’t already thrilling enough, in Nepal you can do it into a river canyon or surrounded by the Annapurna Himalaya—which surely look better upside down anyway. About three hours’ drive from Kathmandu, near the border with Tibet, The Last Resort offers bungy jumping and canyon swings from a very high suspension bridge, down towards the Bhote Kosi River and surrounded by thick jungle. 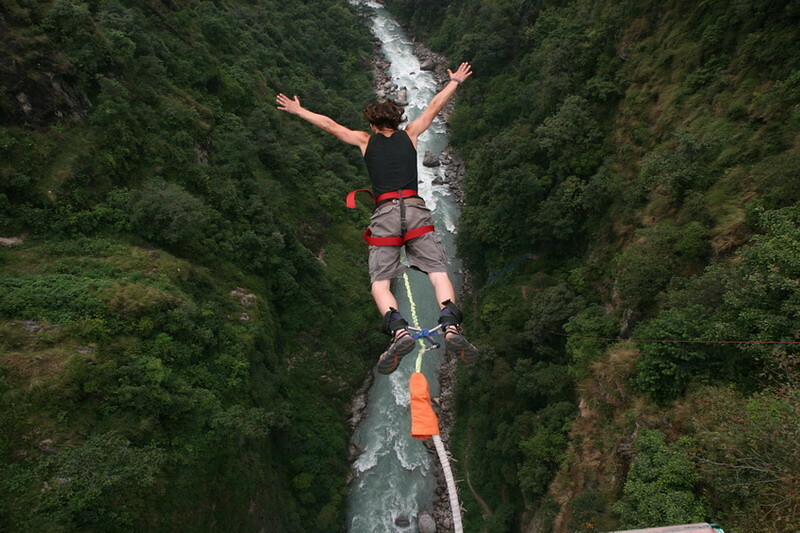 In Pokhara, High Ground Adventures offers jumps from a tower platform. 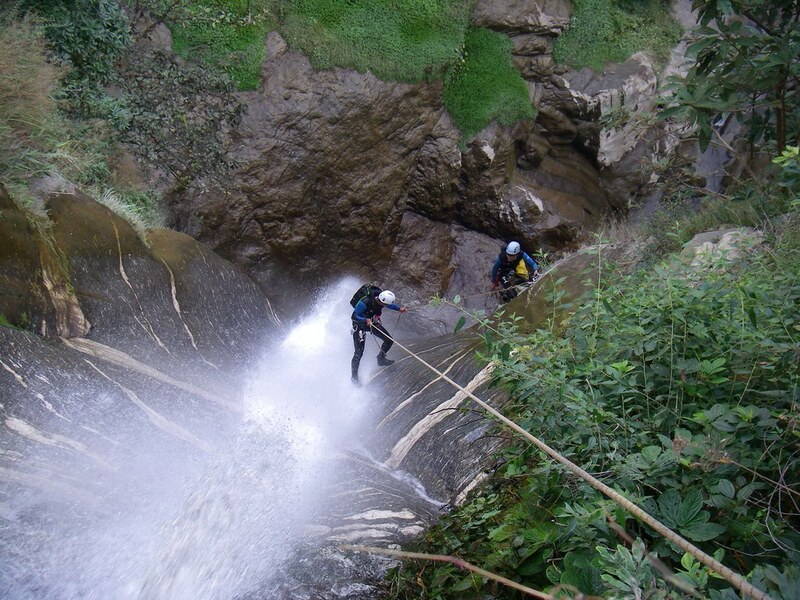 Canyoning is the sport of abseiling, sliding, or jumping down waterfalls (in some places around the world it also includes a caving component, but this isn’t possible in Nepal). For those who haven’t tried it, it’s good to know that it’s not as scary as it sounds. The fact that you’re going backwards eliminates some of the fear that looking down into a canyon when waiting to bungee jump can elicit. So for adventure seekers who are a little afraid of heights, canyoning is a good option. Several Kathmandu and Pokhara-based outdoor adventure companies offer the activity, with the Jalberi waterfalls near Mugling being a favourite destination. The Last Resort also offers canyoning. For those who like their adrenaline kicks to come from staring into the eyes of a wild animal rather than from jumping off something, the jungle national parks of Chitwan and/or Bardia should be on the list. 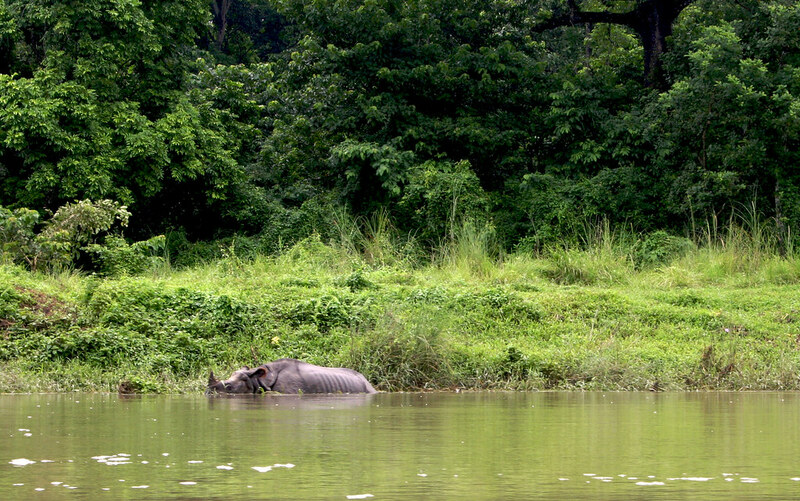 Chitwan is the most easily accessible, just a few hours’ drive from both Kathmandu and Pokhara. You’re almost guaranteed to spot a one-horned rhinoceros while on a foot, jeep, or bullock-cart safari in the park, as it’s home to over 600, and has operated a very successful rhino conservation programme. Bardia is in Far Western Nepal so is trickier to get to, but it sees far fewer tourists than Chitwan, and there are greater chances of seeing a Royal Bengal Tiger in the wild. Bardia is also close to the Karnali River, so rafters or kayakers can combine a 10-day trip on the Karnali with a jungle safari in Bardia. 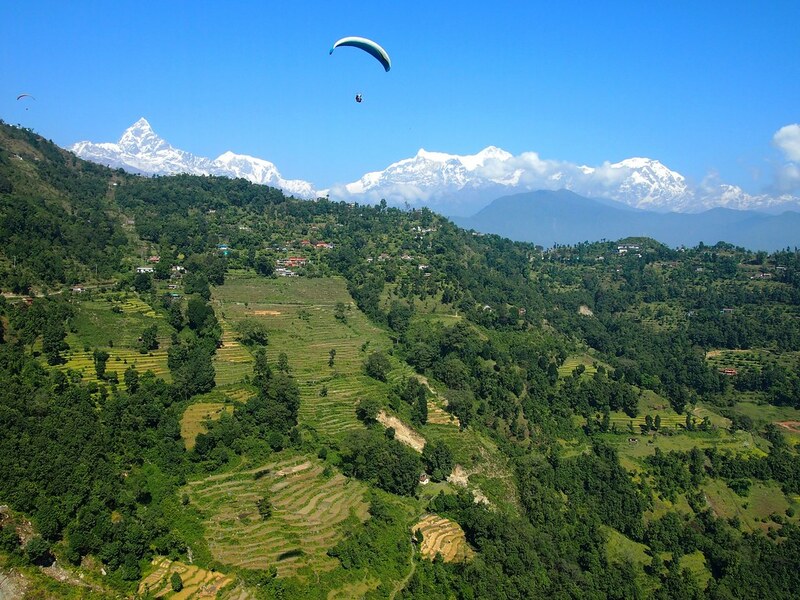 Nepal is (you guessed it) one of the best places in the world for paragliding. Sarangkot Hill above Pokhara, in particular, is a favourite among paragliders because of its stable thermals (the warm air needed to keep you up) and unbeatable views. There’s the dazzlingly green terraced farmland and villages directly below, the blue-green Phewa Lake in one direction and the enormous, snow-capped Annapurna Himalaya in the other. Beginners can make tandem flights with instructors, and aside from the adrenaline rush of initially stepping off the side of the mountain, flights are amazingly calm and peaceful. As well as Pokhara, Bandipur is a popular site. The zip-flyer in Pokhara is likely to put to shame any other zip-line you’ve ever ridden. It’s 1800 metres long, drops over 600 metres, reaches speeds of up to 120 km/ph, and lasts for two minutes. To top all that off, the scenery of the Pokhara Valley is beautiful. 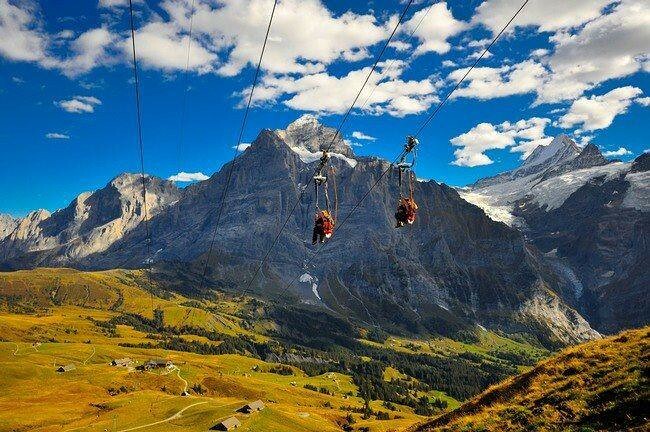 It was the longest zip-line in the world until one in Ras Al Khaimah in the UAE took the top honour in early 2018. But, it’s still long, fast, and thrilling. Riders must be at least 13 years old. 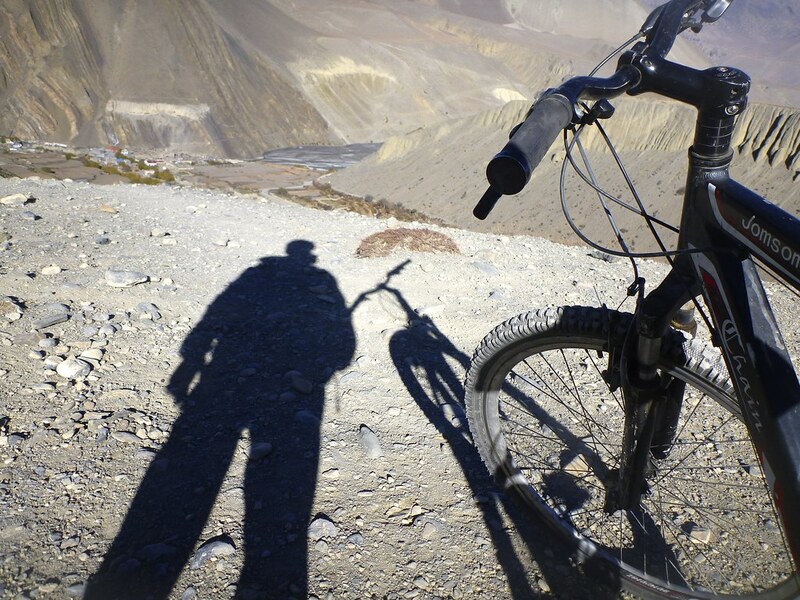 With endless mountains, there are endless mountain biking possibilities in Nepal. From the villages on the outskirts of Kathmandu, to cycling around the lake in Pokhara, to cycling the entire Annapurna Circuit, there are trails to suit many levels of experience and fitness. Mountain bikes can be easily rented in Kathmandu and Pokhara, but it’s advisable to get expert guidance before setting off into the mountains on two wheels. Not all hiking trails are suitable for biking (unless you’re happy to carry your bike a long way at high altitude), but some are. Plan your next adventure in Nepal with our hand-crafted itineraries with local guides and hosts.